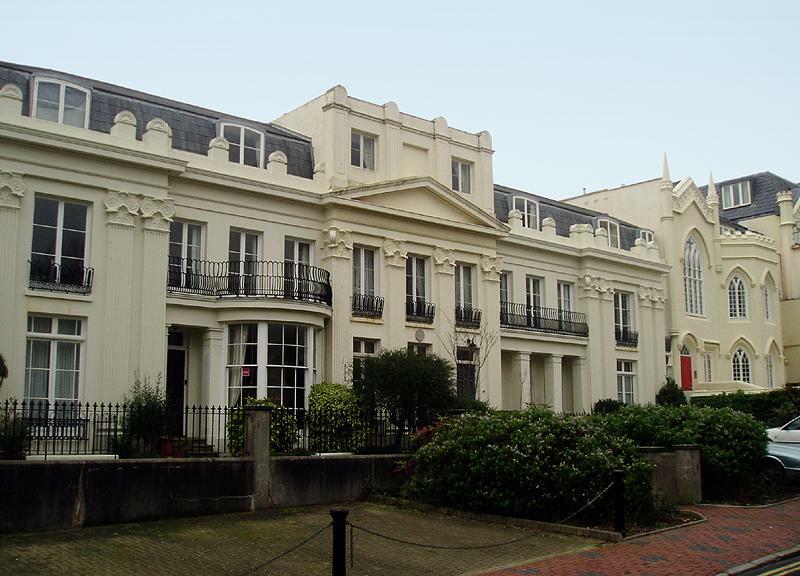 Several other houses around Brighton may be worth more including 8 Eastern Terrace nearby but none comes close in terms of history. 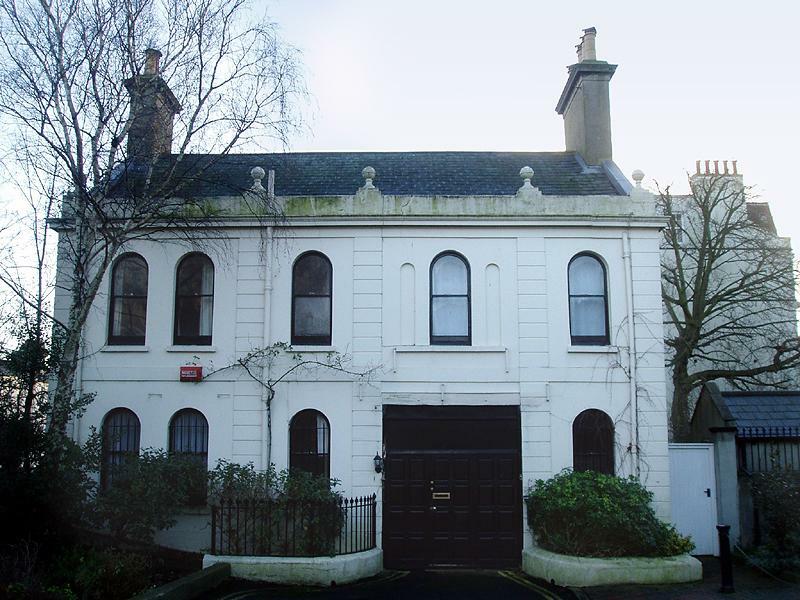 The excellent condition of 1 Lewes Crescent, or Fife House as it has been named, may largely be attributed to Todd Cooper and Giuseppe Sironi. As a relative newcomer to Brighton’s architecture, I was blown away by the tour that I was given by the highly motivated duo that was, arranged on, as luck would have it, the day before they sold it in 2002. It was home to William Spencer Cavendish, the Sixth Duke of Devonshire, and then to Princess Louise, the Duchess of Fife. Prior to Todd and Giuseppe’s involvement, it had been owned by the same family for over sixty years. Some parts hadn’t even been decorated since it was built and the substantial basement, forming a large part of the overall volume of the building, had even been bricked up. A massive restoration project, which included help from the BBC’s House Detectives, led to the discovery of Crace wall paintings in the drawing room, formerly the ballroom. The Crace family was also responsible for interiors at the Royal Pavilion, the Houses of Parliament and Chatsworth, the ancestral home of the Dukes of Devonshire. Todd and Giuseppe had done more than their fair share of work so the restoration of the drawing room was understandably left to the next owner, Patrick Naughton, a telecoms millionaire. The room was completed to a high standard and is now one of the house’s best features along with an amazing wind indicator upstairs. Many great royal figures have visited Fife House over the years including Princess (later Queen) Victoria, King William IV, Queen Adelaide and Princess Louise’s father, King Edward VII. In fact, a toilet was installed in Edward VII’s honour. A hidden spiral staircase running from the top directly to the bottom of the building alongside the main Portland stone staircase kept servants out of sight. The basement now contains what I believe is nearly Brighton’s best kitchen. It extends beyond the back wall of the main house and its 30ft ceiling rises high up the back wall. To me, this puts it second only to the Royal Pavilion’s demonstration model. Fife House is now on the market for £2,250,000 but bearing in mind that it last sold for around £3 million, this may well be a bargain. It’s all too easy to miss the buildings above shops but it’s just as easy to miss the buildings on adjoining streets, just metres away, too. Western Road took its name from a family of local landowners, the Westerns; as did Western Terrace presumably. It is the delightful cul-de-sac opposite Waitrose where the rule is certainly quality, not quantity. A terrace of five stuccoed houses on the west side of the road was built in about 1827 and forms a delightful set-piece. 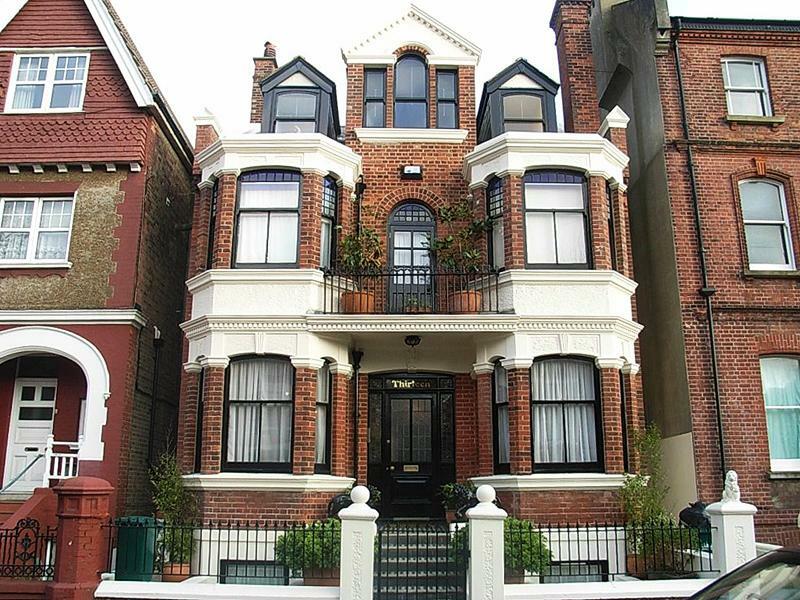 It was designed by the famous local architect, Amon Henry Wilds, and features his trademark Ammonite capitals. Gothic House, also known as ‘The Priory’, ‘Priory Lodge’ and, by many, ‘the old Debenhams building’ sits on the corner of Western Road and Western Terrace. It was designed by Wilds and another local architect, Charles Augustin Busby, and built in 1822-5. The whole street is Grade II Listed except the Grade II* Listed Oriental-style Western Pavilion, built for Wilds as his own home. Gothic House was converted into a shop in 1898 for Sharmar’s drapery emporium. By 1920, most of the Western Terrace houses were used as the shop’s storerooms. In around 1961, the mansion behind Western Terrace, Sillwood House, (also by Wilds), was added to the complex and used as a warehouse. The delightful Western Pavilion was even commercialised. Only the old coach house, 8 Western Terrace at the bottom of the road, seems to have escaped. It is well know that Debenhams eventually relocated to Churchill Square but not many know about the amazing transformation of the terrace back into houses by Regan Construction, a local family business. John Regan and his three sons, Dennis, Desmond and David, saw to it that the houses were painstakingly restored back to their almost original splendour. I say ‘almost’ because it’s often the case when restoring buildings that non-original features are required to be preserved too. After that, they took on the massive task of sympathetically turning Sillwood House into flats and building a rather fitting new block on Montpelier Road. Old Alliance & Leicester adverts show Numbers 4, 5, 6, 7 and 8 being for sale. Due to a strange system of renumbering, however, the houses became 4, 5, 6, 7 and 7a. The coach house actually became No. 8 but, to confuse things further, it appears as No. 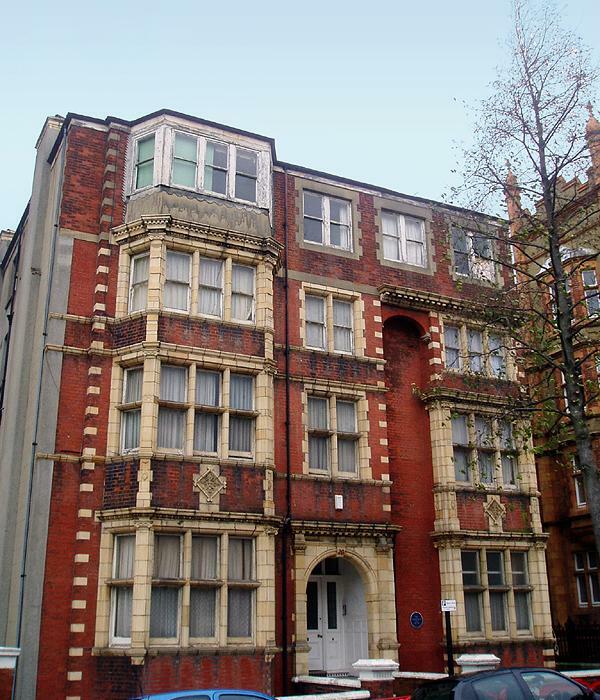 8a on Brighton & Hove City Council’s list of Listed Buildings. Grand Avenue and The Drive form Hove’s greatest thoroughfare – the scene of many architectural triumphs and disasters. Although First to Fourth Avenues have not really been meddled with since they were built, Grand Avenue and The Drive have not been so lucky. Many of the fine houses have been replaced by unimaginative 1960s towers. The only replacement building with any integrity is 4 Grand Avenue; an imposing yet glamorous 1930s block. Bearing previous catastrophes in mind, I was understandably worried when I heard that 20 The Drive is to be extensively remodelled. No. 20 is a unique building. But, despite its obvious quality, I’ve always thought that it looked rather odd due to its flat roof. Not including the basement, the building originally had three proper storeys plus the roof space. 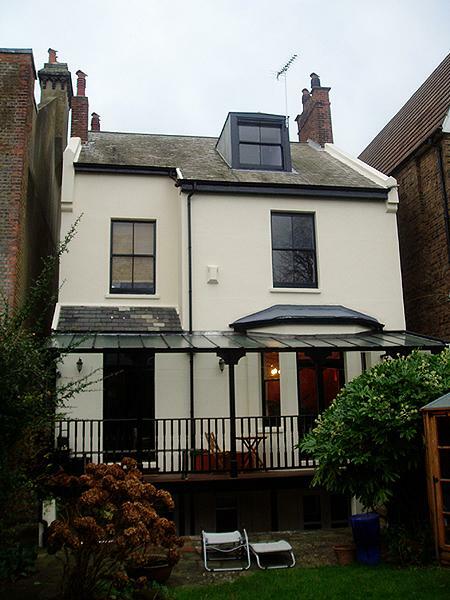 A delightful gable once extended above the top storey but, many years ago, both the roof and gable were unsympathetically replaced with a new floor and flat roof. A local property developer, David Martin, with the assistance of T. Scoble Associates, has received planning permission to remove the shameful additions. They will be swapped for a whole new floor and, above it, a new gable and proper pitched roof will be reinstated. With a bit of imagination, the building will be returned to almost its original state – the only difference being an extra storey. 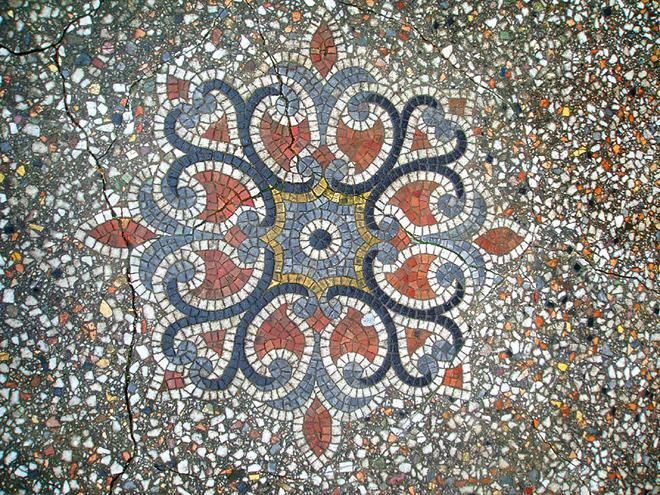 Visitors to 20 The Drive are first greeted with a pretty mosaic pathway leading to a grand door which is surrounded by faïence (enamel-coated terracotta) mouldings. Much of the forthcoming work will involve the replacement of damaged pieces along with the creation of new ones for the gable and upper storey using a photocopy of a vague original plan that was approved by the Hove Commissioners in 1894. It shows that the architect was Warren Cooper of Bedford Row, London, working on behalf of T. L. Williams. The actual building, however, has differences such as the position of the staircase. Dr Burnett and his family lived at 20 The Drive from 1897 to 1915. His daughter was the novelist Dame Ivy Compton-Burnett whose time there has been commemorated with a blue plaque to the right of the front door. At the time, there were thirteen bedrooms. Work is due to start shortly on this exciting project. I fully intend on making good use of Hove’s greatest thoroughfare as I keep an eye on progress.